Cloud Library has been discontinued; however, please check out OverDriveopens a new window for eBooks. 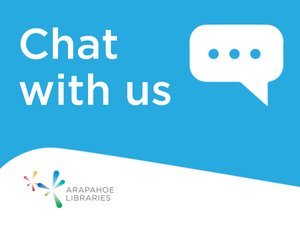 If you have any questions, please call 303-LIBRARY (303-542-7279). Provides access to more than 30,000 audiobooks. Most titles are always available and require no holds or waiting lists. A small number of newer titles are available as "one user per copy." Need help getting started? Check out this tutorial videoopens a new window for help, or visit the RBdigital support page. *This resource was formerly known as OneClick.